RapidKL Bus U82 services between KL Sentral and One Utama Shopping Complex via Pusat Bandar Damansara, Phileo Damansara and TTDI. How do I get from Kota Damansara, Sunway Giza to Padang Merbok(Lake Gardens)? You can use RapidKL U88 or Metrobus 99 to Pasar Seni, then use RapidKL B115 and stop at Jalan Sultan Salahudin, then walk into Padang Merbok. It is about 500-600meters. how do i get from KL sentral to TTDI NAZA KIA? which bustop i need to stop and walK? You can stop at U82_1_13 and walk into Jalan Wan Kadir 3 for TTDI Naza Kia. Hi, may i know that what is the best option for me to get from Metro Prima, Kepong to Pusat Perdagangan Phileo Damansara I? How long it going to take and which bus stop I need to stop? Maybe you can decide which is the better option for you. 1. Use RapidKL U86 to 1Utama and change U82 to Phileo Damansara. U86 is very hard to get. 2. Use RapidKL U4, U8, U11, U13 to Masjid Jamek, then use LRT to Asia Jaya. From Asia Jaya station, use T629 to Phileo Damansara. You can also stop at KL Sentral for U82 to Phileo Damansara. 3. Use KTM from Kepong Sentral to KL Sentral, and use U82 to Phileo Damansara. hey , can i ask , how long does it takes if im going to One Utama from KL Sentral by bus ? hi, can i know how to get to first avenue, bandar utama from pandan indah? and how long is the journey took time? You can use LRT from Pandan Indah to KL Sentral(transit at Masjid Jamek), then use RapidKL U82 to First Avenue Bandar Utama. Hi, I need help in getting from Metropolitan Square, Damansara Perdana to Universiti Malaya Campus. Which bus should I take? Please help. You need to walk slightly to Persiaran Surian (IPC Shopping Centre), then use RapidKL U88 to Universiti Station. 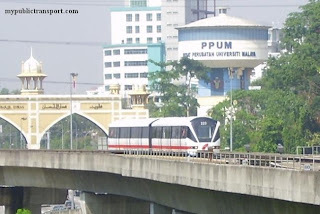 From Universiti station use RapidKL T632 into UM Campus. Only RapidKL U82 go to Plaza TTDI. However, where you from? How do I get to KBU's centerpoint building, the one opposite of it? Coming from KL Sentral, and thanks in advance. You can use RapidKL U82 from KL Sentral to 1Utama, then use taxi to Centerpoint. how do i get to Brunsfield from taman paramount lrt station? yeah i know i can take u82 bus, but i want to know of there is another shortest path and less time to do so. thanks. If you mean Brunsfield at TTDI, then the only way is to use U82 from KL Sentral or 1Utama. Hi, I would like to know if there is any public transport from Damansara Utama to Taylor's Lakeside campus. May I know roughly how long will the journey take (normal traffic and peak hours) and the frequency of U623? Thank you! Hi, I'm from Damansara Utama (LDP) wanna reach HELP University take bus U82, the bus makes a stop all the way at kl sentral only goes towards HELP. Is there any shorter way? 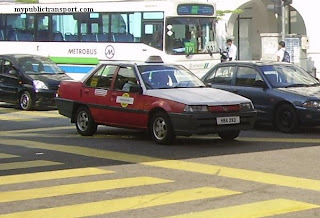 Another choice for you is use T634 from Bangsar LRT station. But I think U82 suites you more. which bus do I take to CP Tower (In front of CP Tower), Seksyen 16/11? And what are the traffic hours to avoid so I can arrive before 9am? Thanks! You can use RapidKL U82. You better start wait bus from 7.30am to avoid late. Another way is use RapidKL U88 or Metrobus 99 from LDP to Asia Jaya, then change to RapidKL T629. Hello..How frequent is the bus from Kelana Jaya LRT to TV3, Bandar Utama? How is the bus route from Bandar Kinrara to TV3 Bandar Utama? I'm starting work tomorrow. Really worried how to get to work on the first day and following days. First, if you stay near to Jalan Puchong, you can use RapidKL U60, U69 or U70 to Mid Valley, then change Metrobus 99 to TV3. Getting yourself to Kelana Jaya LRT will be more troublesome. Hello, may I know, which bus should i take from Hab bus Bandar Utama to this road: Dataran Pelangi Utama, PJU 6A, Jalan Masjid, Petaling Jaya? You need to depart from KL Sentral roughly before 12 noon. U82 comes every 30-40 minutes. Well, I am going to study in Help University starting form January. I need to take the bus from KL Central. May I know how frequent the bus come in 0700-1400? because sometimes i am having class on 8.00 a.m. Sometimes will be 1 or 2 in the noon. You got two choices, one is to use RapidKL U82 from KL Sentral, another one is T634 from Bangsar LRT station. Both of them depart every 30-40 minutes. You can use RapidKL U60, U69 or U70 to KL Sentral, then use RapidKL U82 to Pusat Bandar Damansara. Im from bandar utama. Im going to HELP University. Can U82 bring me there directly?or do I have to change bus after certain point? You can use U82 directly. 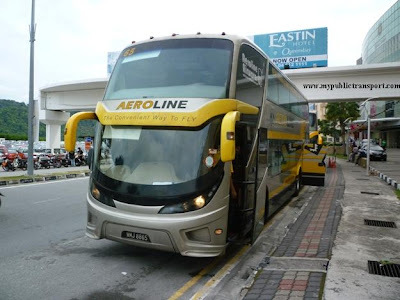 Which bus should I take from Public Bank, Jalan Burhanuddin Helmi to Kelana Jaya LRT? How frequent is the bus? What time should I depart in order to reach the LRT before 6pm? If you want to get to the nearest LRT station, you can use RapidKL U82 to KL Sentral station. If you want to go to Kelana Jaya LRT station, then you need to use U82 to KL Sentral, then use LRT to Kelana Jaya. You can also choose to use U82 to 1Utama, then use RapidKL U89 to Kelana Jaya LRT station. You should depart before 5pm. 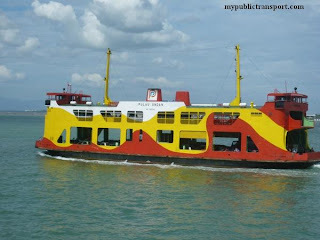 If I want go to media prima radio station located on Persiaran Bandar Utama,can I use bus to go?How? Yes you can choose to use the following buses and stop at 1Utama. Then you can walk to Persiaran Bandar Utama. 1. Use RapidkL U82 from KL Sentral. 2. Use RapidKL U88/Metrobus 99 from Asia Jaya or KL Sentral. 3. Use RapidKL U89 from Kelana jaya LRT station. if i want to commute to workFrom TTDI Villa flora to Ampang Park, what time does the bus pas by Villa flora in the morning? and how long is the duration to get to Sentral? from Sentral when i want to come back from work, do i take the same bus U82 back to TTDI? and how long will the duration be? You can use U82 to go and return from work. The bus comes every 30-40 minutes and takes about half an hour to go KL Sentral. how do I get from Mid Valley to Jln Datuk Sulaiman in TTDI ? What's the travel time during peak hour ? You need to use any bus from Federal Highway that heads to KL Sentral, or KTM to KL Sentral , then use RapidKL U82 to TTDI. You may need one and half hour for this trip. The only way is to use RapidkL U86 from 1Utama to Metropolitan Square. 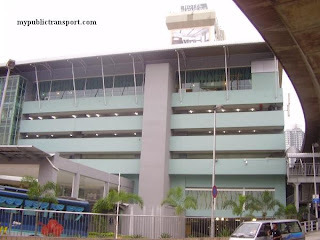 How to go to Toyota Capital, Plaza IBM, First Avenue Bandar Utama? need suggestion please? I travel by bus. You can use RapidKL U82, U88, U89 or Metrobus 99 from different locations to Plaza IBM, beside 1Utama. How do I go Pusat Bandar Damansara from 1Utama? You can use RapidKL U82. how do i get to uptown damansara from tv3 bandar utama? You can use RapidKL U88 or Metrobus 99 to 1Utama, then use rapidKL U82 to Vads. You should starts travel since 6.30am. Hi, how do I get to TTDI KL library from Bukit Jalil or Sri Petaling? You need to use LRT to KL Sentral, then use RapidKL U82 to TTDI KL Library. Stop near Jalan Burhanuddin Helmi and walk to the library. Hi, may I know which bus should I take from Kelana Jaya LRT station to First Avenue, One Utama? And from First Avenue back to Kelana Jaya LRT station? How long is the journey for both directions? By taking which bus I can reach the destination faster? Also, how frequent is the bus? Thanks. You can use RapidKL U89. It should takes 30 minutes. The bus departs every 30 to 45 minutes. 1. may i know which bus should i take from metro prima kepong to hospital tawakal? i need to reach there before 9am..so what time shall i go out to wait for bus? 2. may i know which bus should i take from metro prima kepong to kpj specialist damansara.i need to reach there before 9am..so what time shall i go out to wait for bus? 3. may i know what bus can take from metro prima kepong to ampang puteri hospital.i need to reach there before 9am..so what time shall i go out to wait for bus? sorry..coz i am not familiar with the place..please help me..and thanks a lot..
1. You can use RapidKL U4,U8,U13 from Metro Prima to Hospital Tawakal. You should starts from 7.30am or earlier. 2. This will be tricky, you need to use RapidKL U86 from Kepong to 1Utama,then use RapidKL U88/Metrobus 99 to LDP near Damansara Uptown/Damansara Utama and walk to KPJ Damansara. You may need to starts from 6am. 3. You can use RapidKL U4,U8,U13 from Metro Prima to Masjid Jamek, then use LRT to Dato Keramat LRT Station and walk to Ampang Puteri Hospital. You need to starts from 6.30am. If you are working in those places I suggest you to stay nearby. quickest way & for how long does it takes to get there including at peak hours? You can use any bus that heading towards KL to KL Sentral, then use RapidKL U83 to Wisma UOA. hi, I would like to know how do i get to Jalan wan kadir from kelana jaya lrt station? You need to use RapidKL U89 from Kelana Jaya LRT to 1Utama, then use RapidkL U82 to Jalan Tun Mohd Fuad and walk to Jalan Wan Kadir. If you are using LRT from some where else, I suggest you to use RapidKL U82 directly from KL Sentral instead of go to Kelana Jaya. You can use RapidKL U82 from Kl Sentral to AHP. Hi, how do I get from Seksyen 17 to Damansara Perdana? You can use RapidKL U82 from Phileo Damansara near Section 17 to 1Utama, then next use RapidKL U86 to Damansara Perdana. May I know what is the fastest route to go from Palm Spring Damansara to Menara UOA? And what is the total fees per ride from Palm Spring to Menara UOA? If you mean Menara UOA Bangsar, you can just directly use RapidKL U88 from Palm Spring Damansara to Menara UOA, It costs you Rm2.50. Actually I want to go to Menara UOA (opp. ), Jalan Semantan & Wisma Damansara (opp. ), Jalan Semantan that nearby HELP University from Palm Spring. Then you can use RapidKL U88 and stop near KL Sentral, then use RapidKL U82 to Wisma UOA Semantan. Hmm then can I use U88 & Metrobus99 from Palm Spring and then switch to U82 bus at (DAMANSARA UTAMA, BANK RAKYAT, YORK, ELEVEN) to go to Wisma UOA Semantan? And what is the total fees for the ride? Yes you can as well. For U88 it will be Rm1, and then U82, Rm1.9, so total Rm2.90. 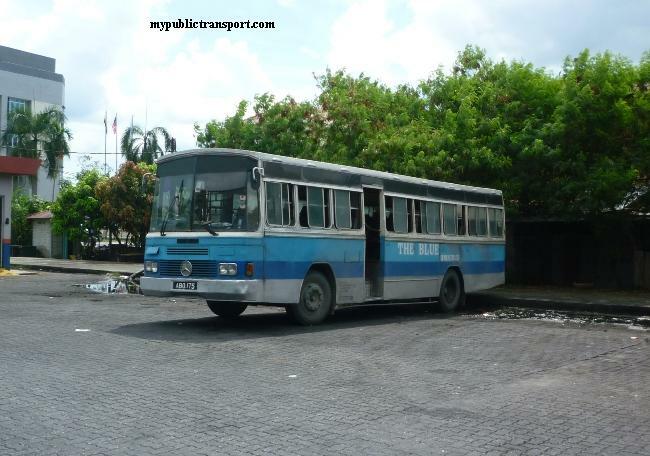 which bus got go KBU college in bandar utama? You can use RapidkL U82, U88, U89 or Metrobus 99 to 1Utama, then walk to KBU college. How can I get Menara LGB @ Jalan Wan Kadir 1 from metro prima or kepong baru? You can use RapidkL U86 from Metro Prima to 1Utama, then use RapidkL U82 to Jalan Wan Kadir. Hi, you can choose to use LRT from Wangsa Maju to Asia Jaya, then use RapidKL U88 or Metrobus 99 to 1Utama, which is beside Plaza IBM. How do I go to Jalan Camar 4/1 from Kepong Central? Hi, you can take RapidKL U86 from Kepong Central to IKEA, then take RapidkL U88 at Persiaran Surian to Jalan Camar Kota Damansara. You can take RapidKL U88 or Metrobus 99. You can take RapidKL U82, U88 or Metrobus 99 from 1U to KL Sentral. You can take RapidkL U88 or Metrobus 99 from Ikea to KL Sentral. All trips cause you Rm2.50 and takes roughly 1 hour. 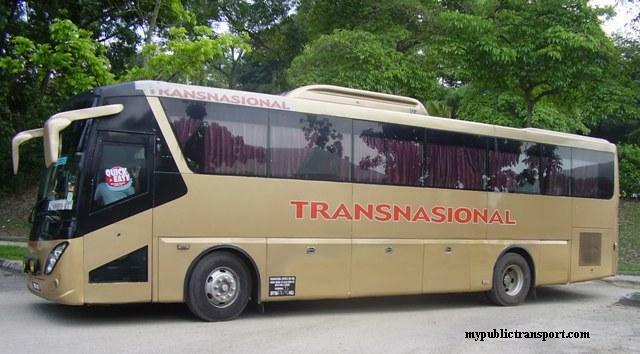 may I know is there any bus stopping at Naza World Petaling Jaya? Hi, you can take RapidKL T627 or U84 and stop near Jalan Pp Narayanan and walk to Naza World PJ. Hi， if you start from KL Sentral, you better be there before 8am. You can also choose to take T629 from Asia Jaya LRT Station. Hi, you can take Monorail from Bukit Bintang station to Chow Kit, then take RapidKL U4, U8, U13 to Vista Magna. Hi, I'm student from IACT college, jaya one. May I know how to go Wisma Uoa Damansara from jaya one? Hi I want to ask..I'll stay at desa kiara condo and I'll work at bangunan lgb. How I'm going to get to the office (ba gunan lgb) before 8am. Which bus should I take from desa kiara to kelana jaya. Hi, you can take RapidkL U82 to Menara LGB, you can wait the bus at 7am and reach before 8am. Hi, would like to know where do u82 drops me at phileo damansara if I want to go phileo damansara 2? Would I need to walk far and cross any main roads? Hi, there is only one bus stop near Phileo Damansara, and it is very near to Phileo Damansara, so there is no problem for you to walk. It also depends on which direction you come from. If you are from 1Utama or TTDI, you need to cross the LDP using the pedestrian bridge. How early should I start to wait the train at Hang Tuah Lrt Station to reach Universiti Lrt Station before 7.30am. Hi, not sure if you still can get U82 at 11pm at TTDI, you cant reach the Monorail station on time. you should use Monorail from Hang Tuah to KL Sentral, then only use LRT to Universiti, you can start at 6.30am. 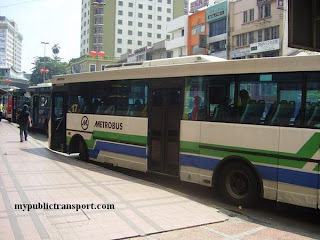 Hi, from Kelana Jaya you can take U89, from KL Sentral you can take U82, U88 or Metrobus 99. Hi, it stops in front of Help University. Thanks for replying! Is the bus coming on time? And how long is the journey take from kl sentral to help? Hi, it departs every 30-40 minutes. The journey takes about 20 minutes. how do i get to ou from uia gombak? how many minutes does it takes? Hi, if your OU is 1Utama, then you can take LRT from Gombak to Asia Jaya, then come out to main road and take U88 or Metrobus 99 to 1Utama. Hi. I need to go to Menara Milenium from Desa Kiara Condo. If i'm taking U82, where should i get off? How long will the trip take? what is the frequency of the bus? How much is the fare? Thanks. Hi, you can get off near flyover at Jalan Johar, it takes about 30-40 minutes journey and the bus comes every 20-30 minutes. It costs Rm1.90. Hi. I need to go to bank islam at jalan mohd fuad from victoria station. if i take the u82 bus, how long will it take and how much is the fare? i have to arrive by 8.30am. Thanks! Hi, it takes about 30 minutes and cost Rm1.90. Hi, you can take RapidkL U63, U67, U76 to Asia Jaya near Federal Highway, then walk to Asia Jaya LRT Station and take RapidkL T629 to Phileo Damansara. what if i come from kl sentral? i can take komuter from setia jaya station (the station just behind my house) and stop at kl sentral.. easier i think..
Hi, you can take RapidkL U82 from Kl Sentral to Phileo Damansara. Yes, taking KTM and U82 should be better than you walk from Federal Highway to Asia Jaya LRT. Hi there. I was wondering what is the best way to go to Sunway College from Desa Kiara Condominium via public transport? Hi, you can take RapidKL U82 to KL Sentral, then take RapidkL U63, U67, U76 to Sunway Pyramid and walk to Sunway College. hi. may i know how can i go to kl sentral from plaza vads ? Thanks! How long does the whole journey take approximately? I'll be travelling on Saturdays and Sundays, and I need to get to Sunway College by 9am, when should I start waiting for U82? Other than that, how can I get to Pantai Medical Centre, Jalan Bukit Pantai, 59100 KL from Desa Kiara Condo? Thanks again. It should takes you about 1 hour ++, you can start from 7.30am. To go to Pantai Medical Centre KL, you can take U82 to KL Sentral, then take RapidkL U64, U80, U88. Hi, what time should I be waiting at Victoria station stop (opp.) for U82 if i were to get to bank islam at jalan mohd fuad by 8.30am? Hi, you should be waiting starts from 7.30am. Hi, just to confirm, if I want to go one utama from help uni, I should take U82 from menara millineum, and it should reach there. 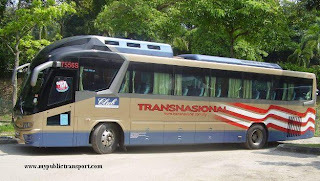 Then, if I want to go back, I can take u82 at the one utama bus terminal and reach Osso petrol station, right? And how much would it cost per ride? Yes, you are right. The journey per ride is Rm1.90. Hi there! How do I get to Wisma Jernih, 38, Jalan Sultan Ismail, Kuala Lumpur, 50250, Kuala Lumpur, WP Kuala Lumpur, 50250 from Desa Kiara Condominium? How long will the journey take and cost? Hi, you can take RapidkL U82 to KL Sentral, then take Monorail from KL Sentral to Raja Chulan, then walk to Wisma Jernih. Hi, may I know how to get to TTDI from PJ Old Town or Asia Jaya LRT Station? Thanks. Hi, you can take RapidKL U66, U75(from PJ Old Town) or LRT (from Asia Jaya) to KL Sentral, then take RapidKL U82 to TTDI. Hi may I know how to get hospital kpj damansara from kl sentral? Hi, you can take U82. Hi there. How do I get to Desa Kiara Condo, Jalan Damansara 60000 from UBN Tower, Jalan P.Ramlee? How about the reverse, from Desa Kiara to UBN Tower? Thanks. Hi, you can take U82 to KL Sentral, then take Monorail to Bukit Nanas and walk to UBN Tower. The reverse is just the opposite way. Thanks. Btw, how do I get to 16, Jalan Sementa 27/91, Taman Bunga Negara, 40000 Shah Alam, Selangor from Desa Kiara Condo? Hi, you can take U82 to KL Sentral, then take RapidKL U65 to Persiaran Sepang and walk to Jalan Sementa 27/91. hi there, thanks for the reply!! may I know how long does the whole journey to jalan sementa approximately take? and also from desa kiara to ubn tower? 2. Sementa - roughly 100 minutes. Hi, you can take RapidkL U82, it takes about 30-40 minutes. Hi there, how do I get to 2, Persiaran Kerjaya, U 1, 40150 Shah Alam, Selangor, Malaysia from Desa Kiara Condo? How long will the journey take? Hi, you need to take taxi because there is no bus entering Glenmarie now. Hi there, how do I get to TTDI plaza by bus from any of the nearest LRT station? Can i know how long does it take to travel from Sek 8 Kota Damansara to Masjid Jamek on the U88 bus and how much does it cost? hi, it cost you Rm3 and takes about 1.5 hour to 2 hours. Hi, you can take RapidKL U82 to KL Sentral. Hi, I am trying to find a way to reach to One World Hotel using public transport. Is there any public to go there and how long it will take from my destination as I need to go for training there. I am from Shah Alam. Can you guide me? Thank you. Hi, which part of Shah Alam are you from? I'm staying at Section 19. Hi, you can take RapidKL U65 from Persiaran Tengku Ampuan to Asia Jaya Federal Highway, then take RapidKL U88 or Metrobus 99 to One World Hotel. Hi, you can take RapidKL T634 from Bangsar LRT station to Help Pusat Bandar Damansara. So the bus will stop right in front of HELP??? Hi! can you tell me how do I get to Lot 608, SS13/1K, 47500 Subang Jaya, Selangor, Malaysia from Desa Kiara condo? 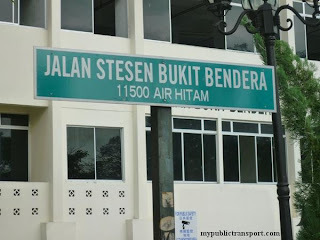 And also from Desa Kiara to Persiaran Surian, Bandar Utama, 47800 Petaling Jaya, Selangor, Malaysia? Hi! you can take U82 to KL Sentral, then take RapidKL U63 to SS13. From Desa Kiara, you can take U82 to 1Utama, then go to LDP to take U88 or Metrobus 99 or walk to Persiaran Surian. Hi, I'm from Bandar Puchong Jaya, Batu 8. 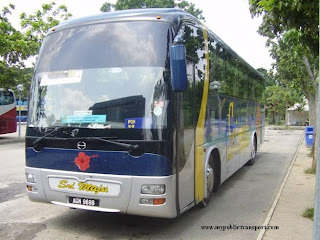 How can i travel by bus from First Avenue, Plza IBM, Bandar Utama to Puchong Batu 8? Thanks! Hi, you can take RapidKL U43 from 1Utama to IOI Mall, then take RapidKL U70 to Bandar Puchong Jaya, Batu 8. May I know the fastest way from Taman Selayang Jaya to Menara UOA, Jalan Semantan by public transport? Hi, you can take RapidKL U209 to Taman Wahyu KTM Station, then take KTM to KL Sentral. From KL Sentral, take RapidKL U82 or U83 to Menara UOA. 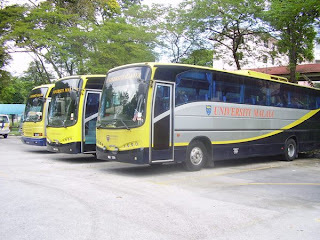 Is there any bus route from Koi Kinrara Suites Puchong to KBU college in damansara? Hi, this is going to be not convenient. Both places are far away from bus route. I suggest to take taxi. To use bus, you need to walk about 1km from Koi Kinrara to Puchong Jaya and take RapidKL U70 to Mid Valley, then take Metrobus 99 to 1Utama, and walk 2 km to KBU. 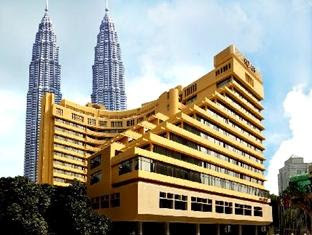 Hi, how do i get to Corus Hotel, Jalan Ampang, Kuala Lumpur, 50450 from Desa Kiara Condo? How long will it take? Thanks. Hi, you can take RapidKL U82 to KL Central, then take LRT to KLCC, then you can walk to Corus Hotel. Hi, how do i get to Menara LGB, TTDI before 8.20am from Ampang? Any advisable time for me to start travel? how long does it takes for the whole travel? Hi, you can take RapidKL U82 from KL Sentral. Since you are coming from Ampang, I assume you are taking LRT to KL Sentral. You can start from 6.45am. Hi, you can take RapidKL U88, U82, Metrobus 99 from KL Sentral to 1Utama, then take taxi or walk to KBU. There is no bus that enter to KBU. Hi, you can take KTM from Klang to KL Sentral, then take RapidkL U82 to Jalan Burhanuddin Helmi 1. You need to depart from 7am. I need to go Plaza TTDI from KL Sentral. Where should I wait for the Rapid bus? Hi, you can take RapidkL U82 inside KL Sentral. Hi, I'm living in desa kiara condo. Can you tell me which bus I should take. I wanna go to kelana jaya medical centre, ldp. I'm new to KL.. THANK YOU. Hi, you can take RapidkL U82 to 1 Utama, then take RapidkL U43/U89 to Kelana Jaya LRTStation/Kelana Jaya Medical Centre. how do I get from Kajang to First Avenue? Hi, you can take KTM from Kajang to KL Sentral, then take RapidKL U82, U88 or Metrobus 99 to First Avenue. 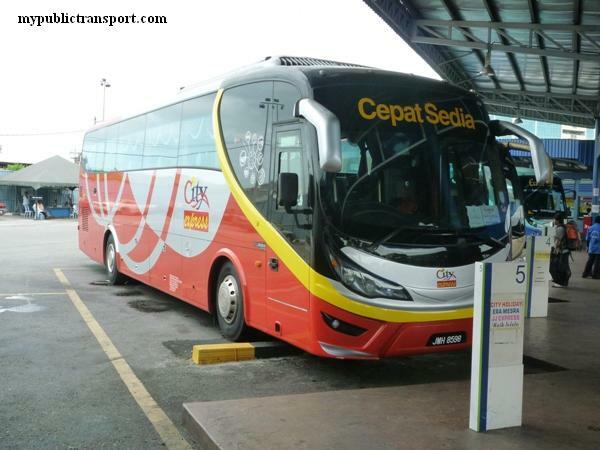 how to I get to kl sentral from damansara perdana by bus? If I need to get to KL sentral by 9 a.m. (weekday), what time should I wait at the bus stop at damansara perdana? Where is the bus stop? Hi, you can take RapidKL U86 from Damansara Perdana to 1Utama, then take RapidKL U82, U88 or Metrobus 99 to Kl Sentral. You may need to wait as early as possible, like 6.30am, because U86 comes every 2 hours. 1. Where exactly is the RapidKL bus stop at IKEA, Mutiara Damansara? 3. 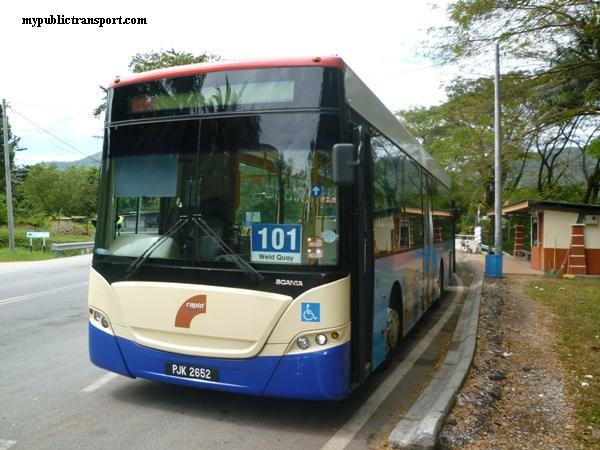 What are the RapidKL bus numbers that head into KL from IKEA? 1. It is U86. It comes every 2 hours. The normal practice is taking U88 or 99 and stop near Persiaran Surian and walk to Ikea. 2. 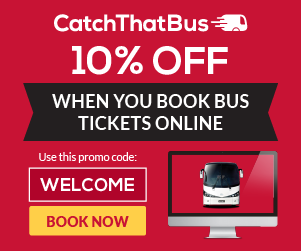 You can get U88 and Metrobus 99 every 10-15 minutes. 3. U88 and Metrobus 99. Hello guys, quick question, what's the best way to commute from klcc to damasara perdana (armanee terrace area) also from bukit jalil to damansara perdana. Thanks in advance.